Snoring can be a real problem, not only for the person who snores, but also for the partner and other family members who live with the snorer. However, there is a dentist-prescribed solution for a more restful night’s sleep: Silent Nite® sl. 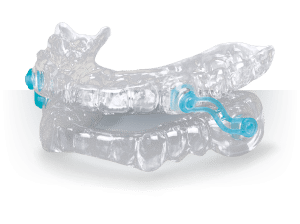 This affordable device is flexible, thin and comfortable, and it exhibits documented clinical success in mitigating or even preventing the disruptive, unhealthy effects of snoring and sleep apnea.